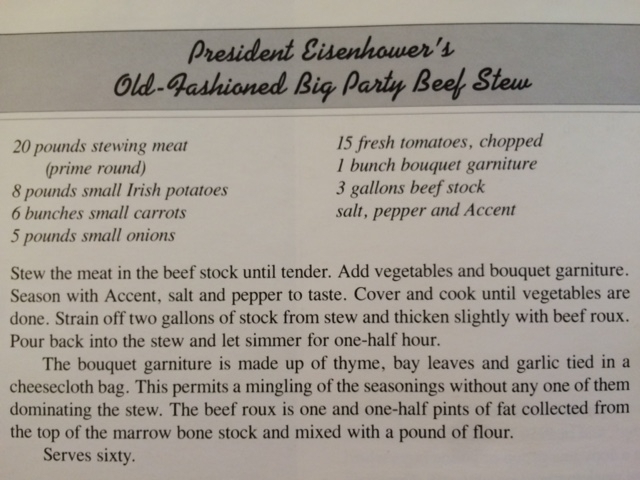 Can’t help it; in these fraught times, the notion of a President and General who loved to cook is so appealing that I keep going back to the book. 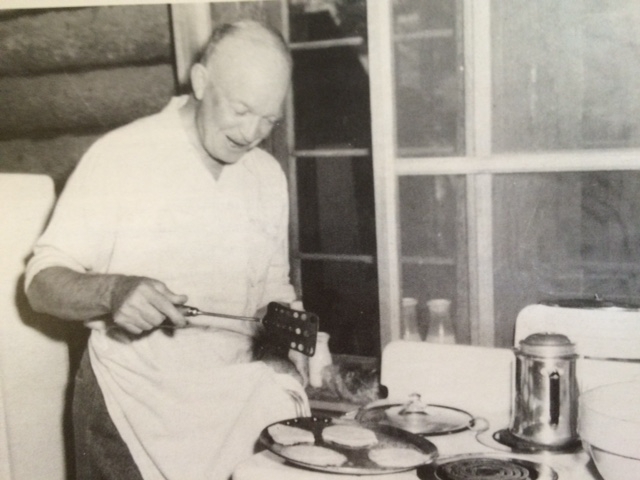 Here’s the President, at Camp David, making breakfast for the staff. 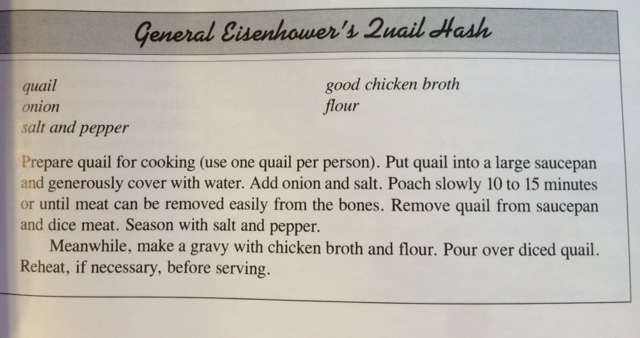 Ike obviously liked cooking for crowds; the following recipe feeds sixty. 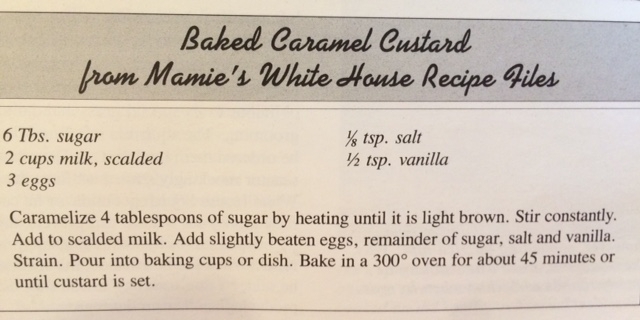 I love the straightforward quality of the ingredients; note that it calls for a roux made with marrow bone fat. 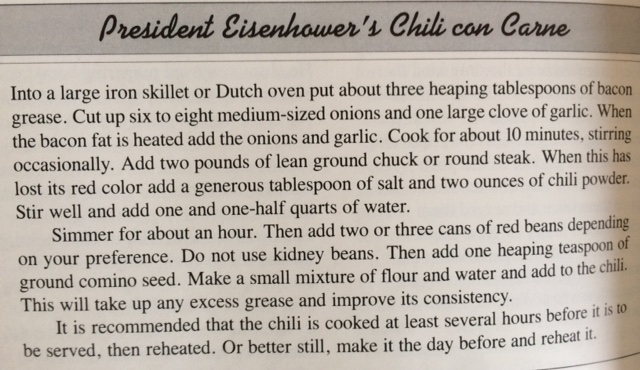 Turns out that Ike didn’t just cook; he was also a rancher and gardener. 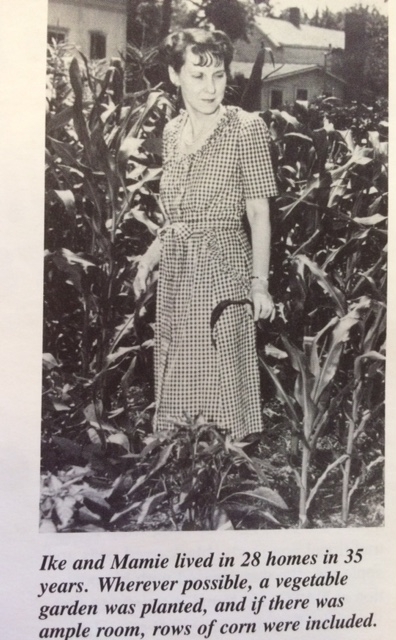 Here’s Mamie in the corn. 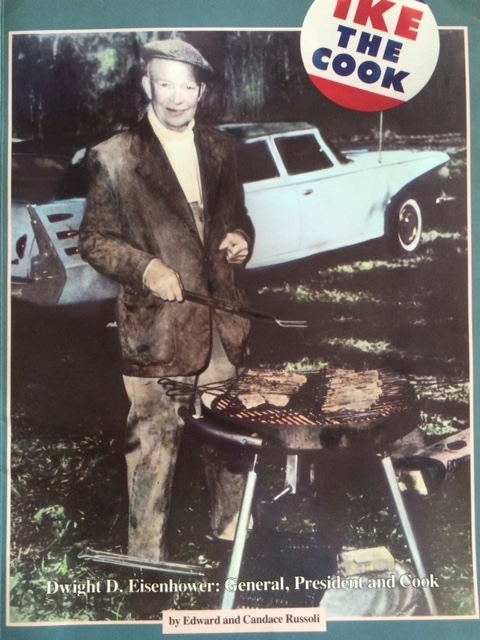 My family were never friends of Ike; we were Adlai people all the way. 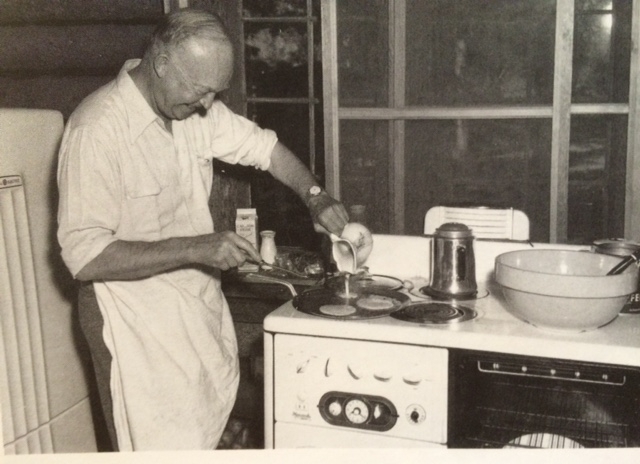 Still, from where we now sit, the man looks like a saint. 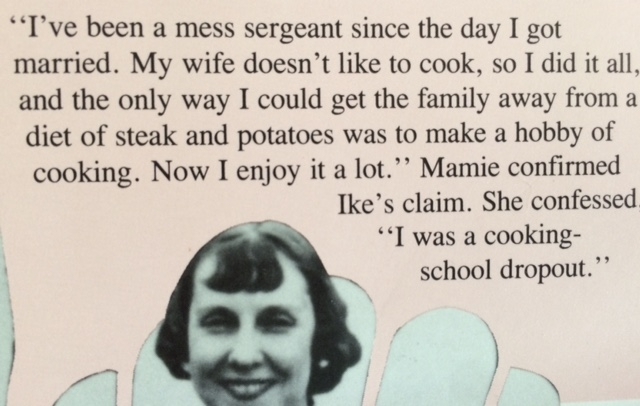 Turns out he did more than issue a warning about the military-industrial complex; in a time when real men wore no aprons, Ike did all the family cooking. 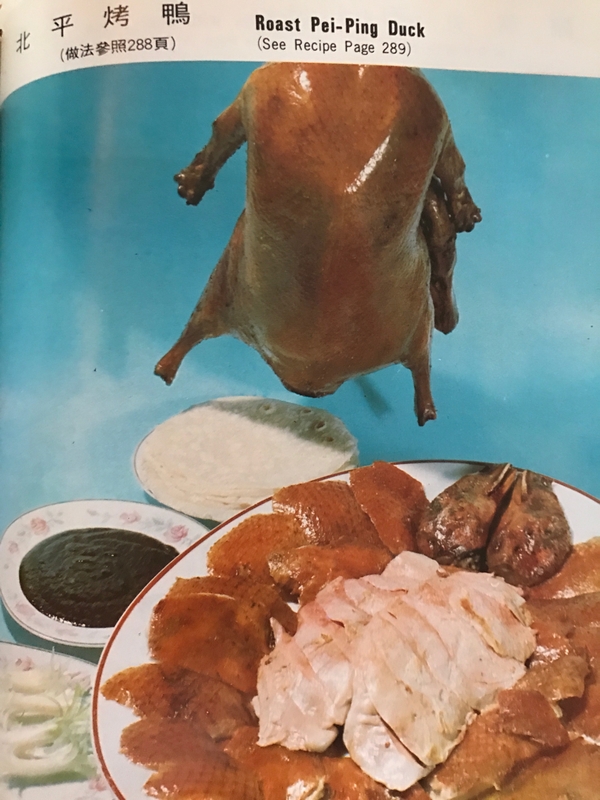 He’s looking better all the time! 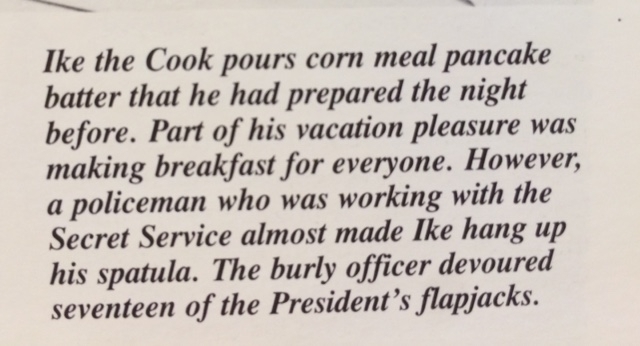 This is from Ike The Cook. 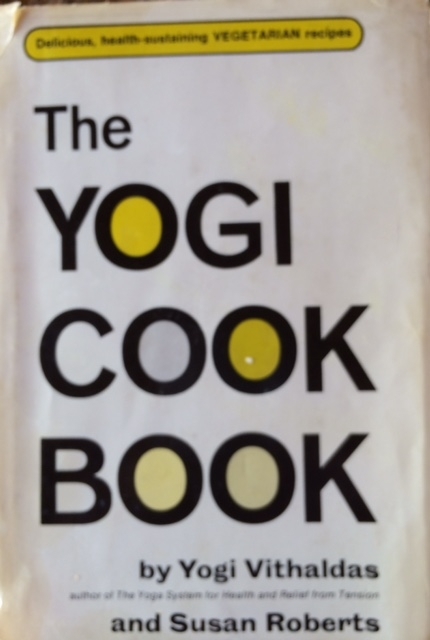 I found a copy on my bookshelf, but if you want one, you can find it here. 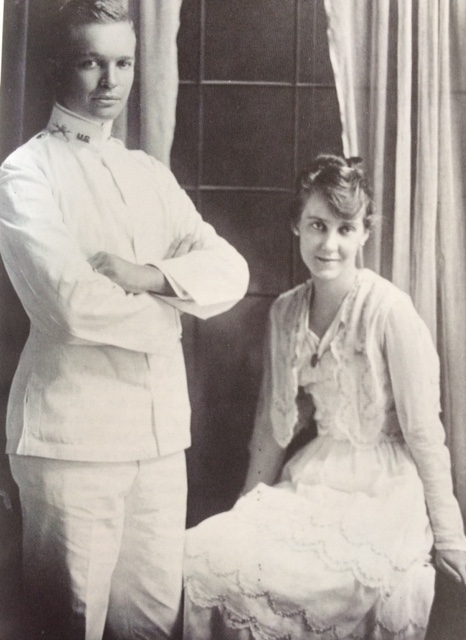 Here’s Ike and Mamie on their wedding day – a surprising picture since you’re used to seeing them only as grandparents. 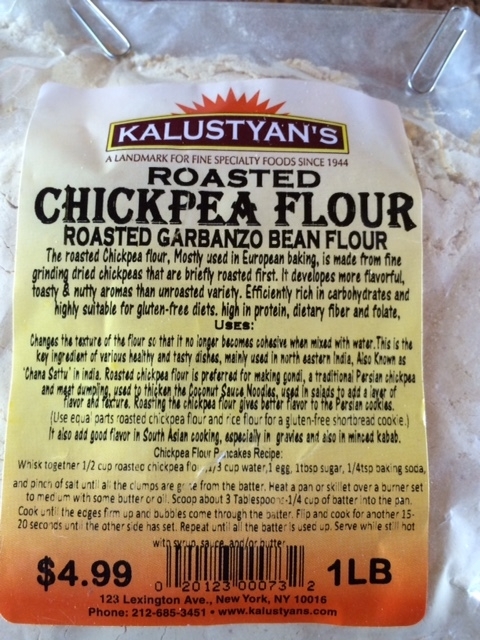 Who knew they were both so beautiful! 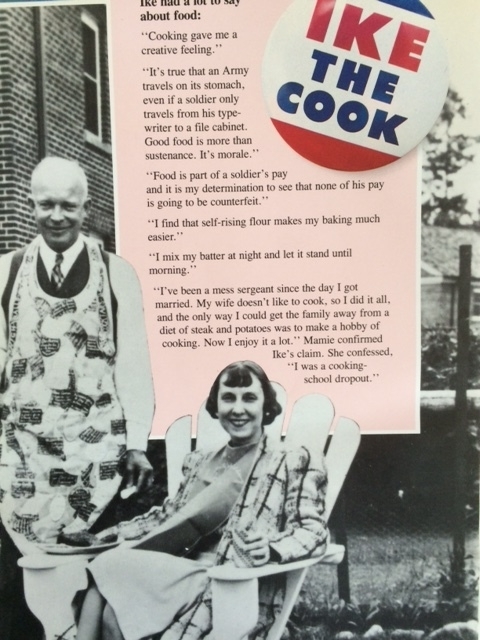 And because I can’t resist, here’s Ike in his apron. 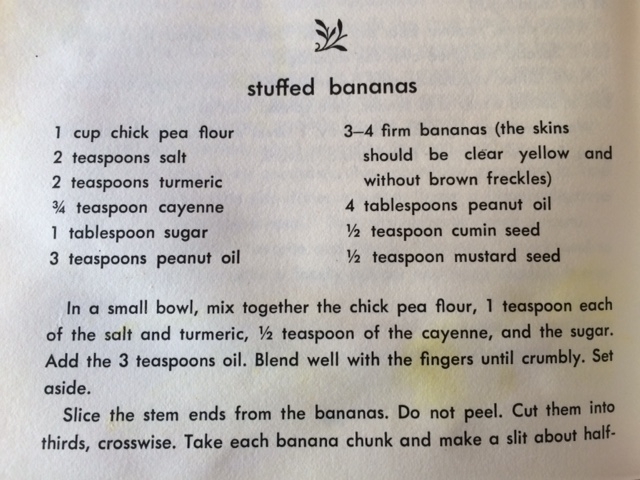 Feeling more ambitious? 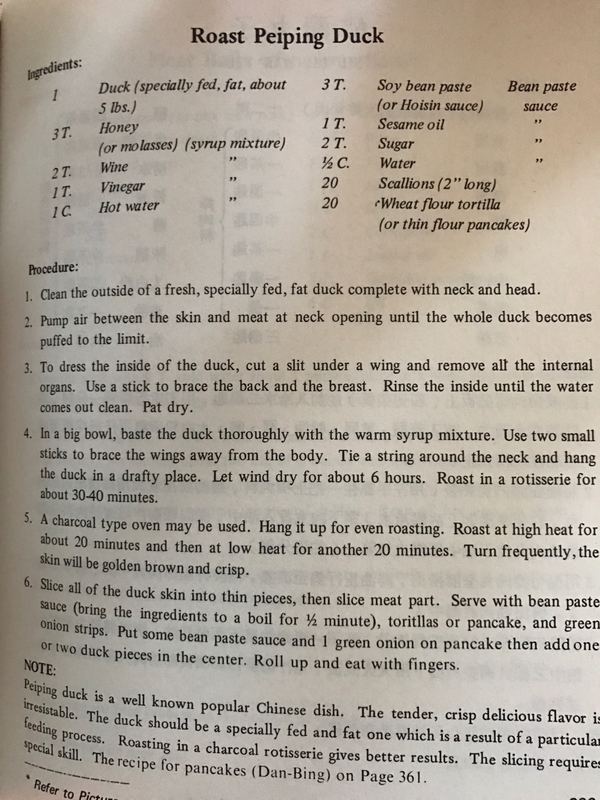 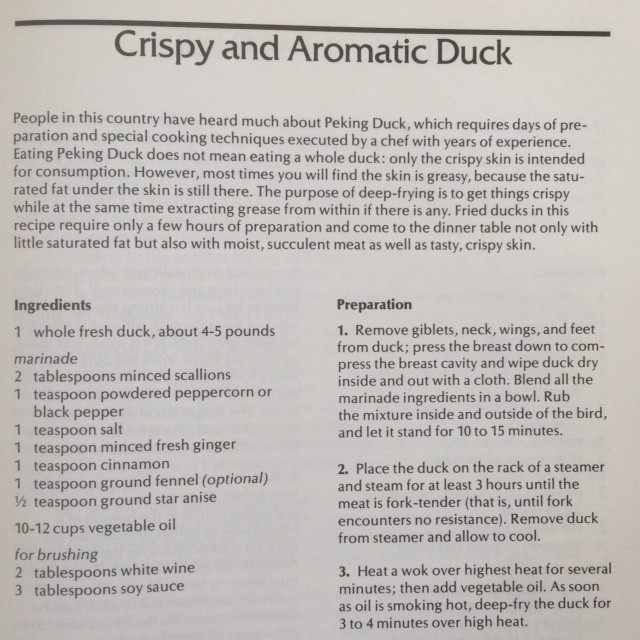 Here’s a recipe from Taiwanese cooking celebrity Pei Mei’s 1969 cookbook. 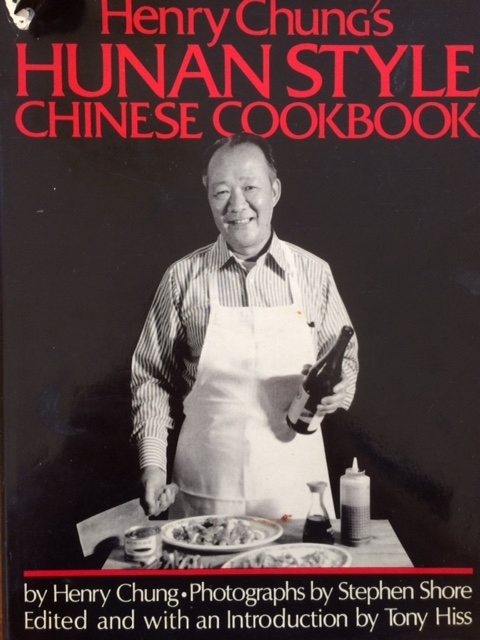 And while thinking of Cecilia, I was reminded of another nonagenerian San Francisco Chinese food celebrity, Henry Chung. 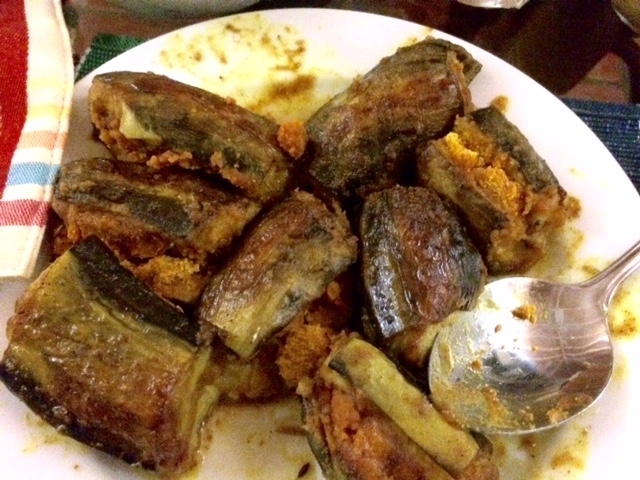 His tiny Hunan Restaurant introduced many of us to the fiery food of the region. 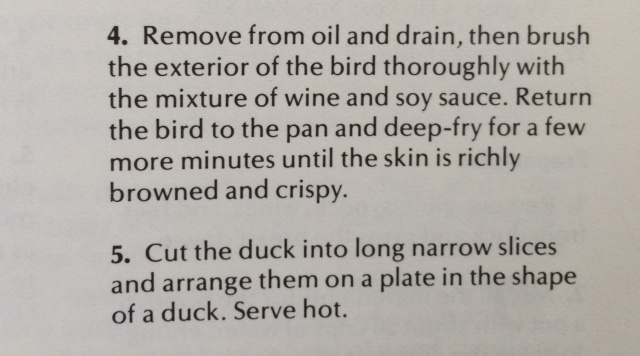 Here’s his easier idea for duck. 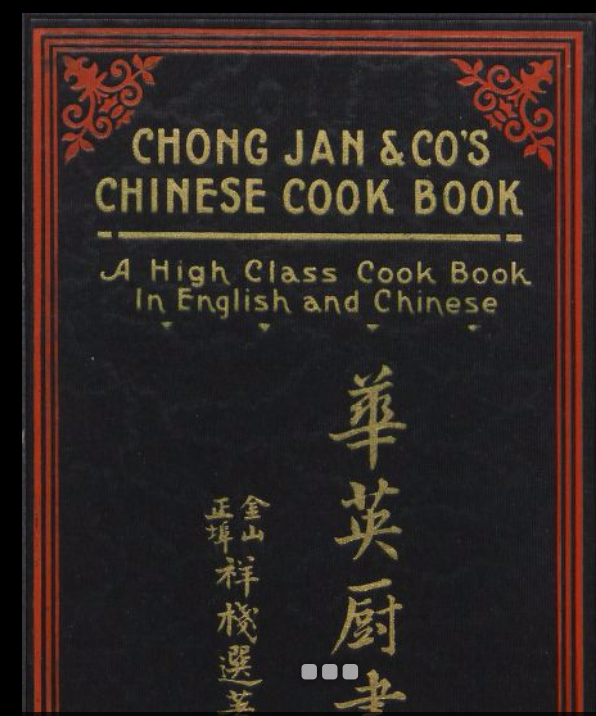 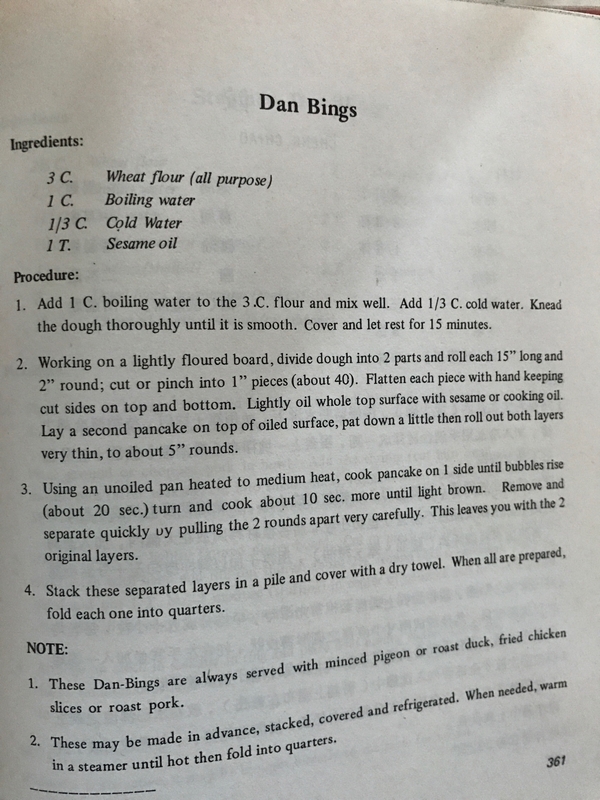 Looking for old Chinese-language Chinese food cookbooks I came across Chong Jan & Co’s Chinese Cookbook: A High Class Cook Book in English and Chinese. 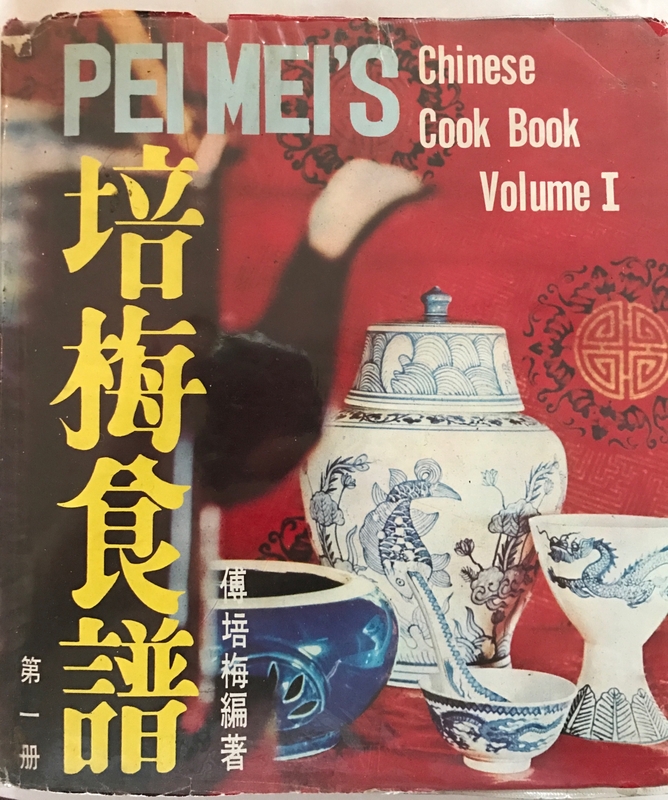 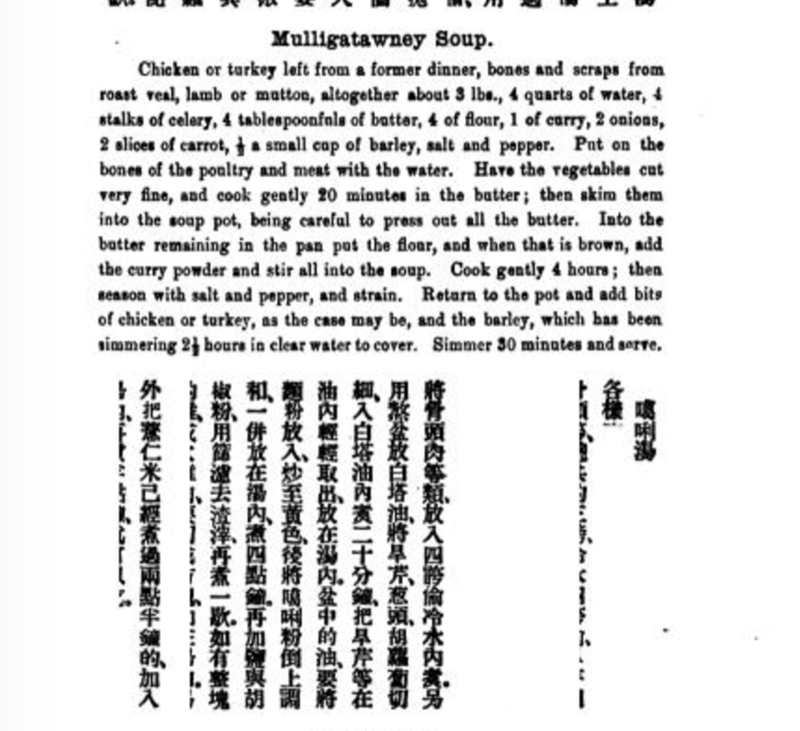 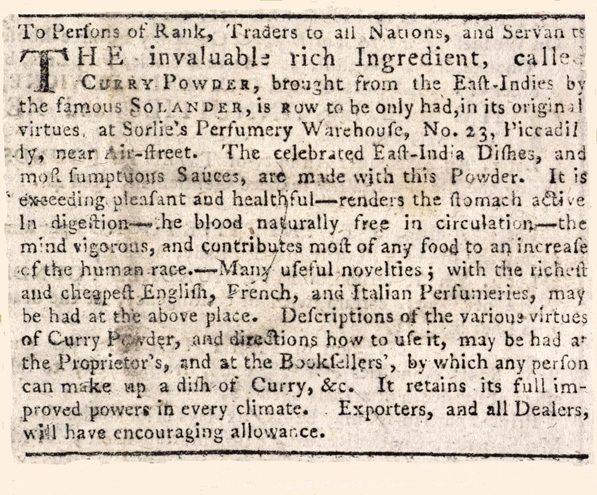 As I flipped through the pages – amazingly, available online through Harvard – I expected to find imperial cuisine of the Manchu emperor variety, or recipes in the tradition of chop suey – a dish that was surely ubiquitous in 1913 San Francisco. 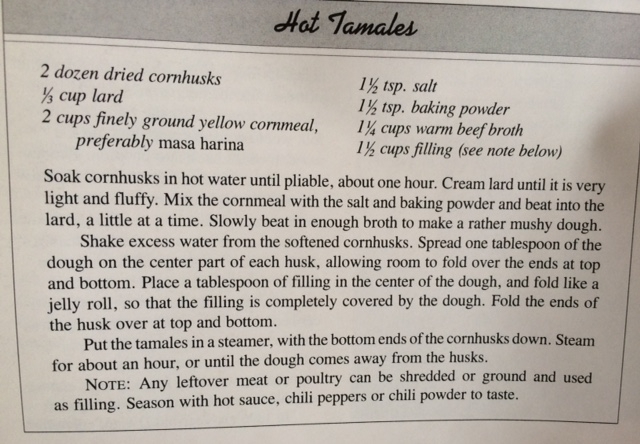 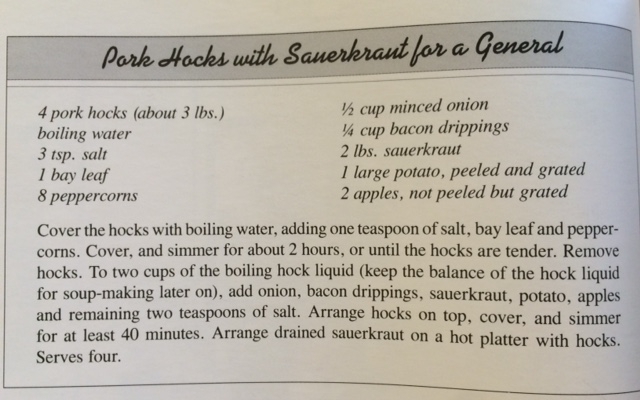 This was dinner last night; it might be the strangest recipe I’ve ever attempted. 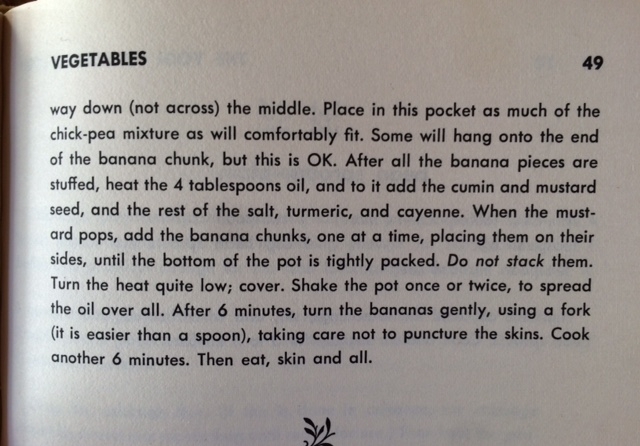 You stuff the bananas, and then eat them, peel and all. 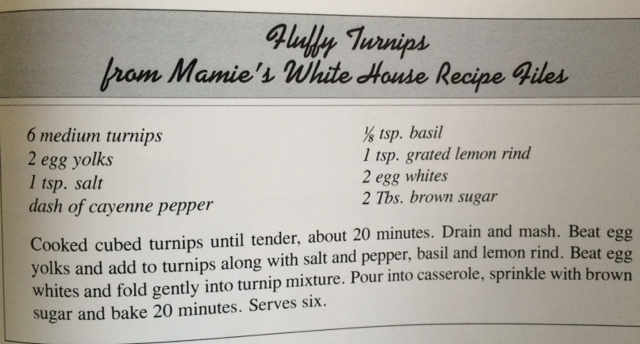 Trust me – it’s delicious.